You are here: Home / Ask an Expert / How can I put a co-created influencer content marketing program into action? 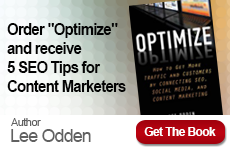 How can I put a co-created influencer content marketing program into action? What’s a faster way to connect with a target audience than building thought leadership from scratch? 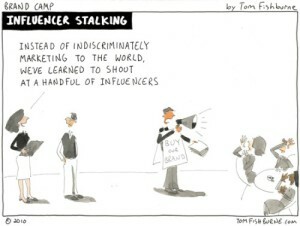 Working with influencers that already have authority and credibility with the target audience you want to reach. With mutual benefit, influencer participation with content marketing projects creates opportunities for brands to tap into the influencer’s sphere of influence. Incentive for influencers to promote the content project is strong, especially when the content helps advance the influencer’s own goals for greater industry visibility. 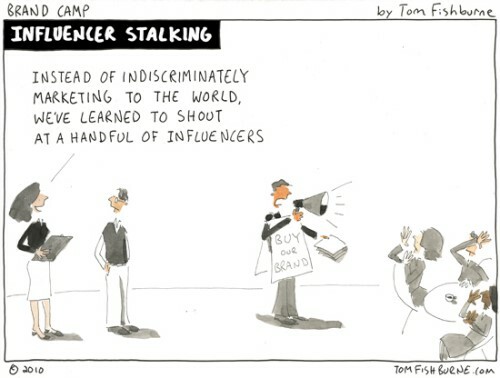 So what’s a good process for developing an influencer content marketing program? Define goals – Serving different audiences (influencers, brand, prospects, industry media) requires a strategy that identifies distinct goals. Influencers may want exposure, the brand wants to grow expertise for a topic and attract new business, prospects want expert information, the media wants referenceable examples and subject matter experts as story sources. Select topics – Topics represent the themes and areas of focus for planning editorial and for sourcing influencers. Topic alignment between brand, influencer and community is essential for mutual value to be created. Identify type of content or media mix – Types of content are often determined by the content marketing plan, and target audience. At the same time, there are some types of content that are more amenable to co-creation with influencers such as eBooks, reports, blog posts, quoted infographics and video compilations. A clear line of sight must be present between the co-created content and the content objectives in the marketing plan. Find, qualify and recruit influencers – Influencer sourcing and engagement takes time. Many influencer co-created content projects will draw from existing influencer relationships and involve making new influencer connections. Distinctions between brandividuals and influencers must be made – the influencers must be effective in their ability to inspire action in a community. Recruiting might involve small, easy projects that advance the relationship to more robust and substantial time commitments. Plan, co-create, repurpose modular content – The content marketing plan for co-created content identifies the primary and sub-themes, the influencers to work with, the types of contributions influencers will make (according to themes). Other identifiers from the plan are the type of content to be created, it’s component parts, social share messages and repurposing. Modular content planning allows pre-promotion of the co-created content project to build momentum for launch and then deconstruction of the content for customized repurposing and social promotion on networks, blogs, and the media. Inspire participation and promotion – Influencer communications provide expectations and clear timelines along with the benefits for all when a co-created influencer content project is successful. Providing influencers with tools such as shareable images, pre-written tweets, embed codes and short URLs can substantially increase promotion participation and reach. Performance measurement and optimization – Individual influencer promotions of the co-created content project can be measured based on social network shares, sentiment of those shares, engagement on the topic, links and blog pickups. Embeds used by influencers to create blog posts can be tracked for referral traffic along with referred social traffic from their links. Referred traffic that results in website visits can be further analyzed for metrics such as time on site, categories of content consumed, leads and sales. Overall reach, engagement, traffic, leads and sales for the content project can be tracked as well, taking note of the contributions made by influencers towards key performance metrics like growing affinity between a topic and the brand as well as business outcomes like leads and sales. Are you looking for more expert advice on your next co-created influencer content marketing program? 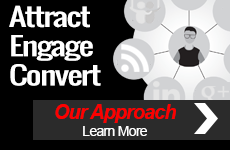 Contact TopRank today to learn more.